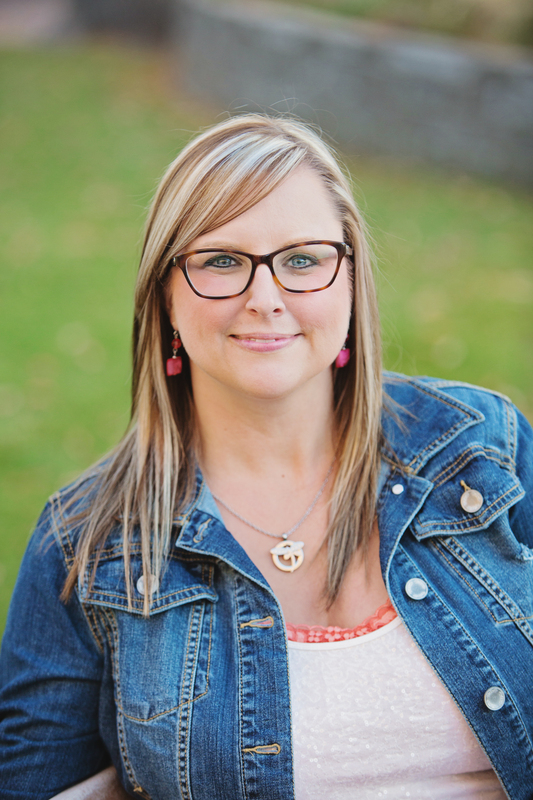 Sparrow Rose Jones, an Autistic adult, wrote a guest post for A Diary of a Mom about Applied Behavior Analysis (ABA) therapy. I was shocked by what I read. 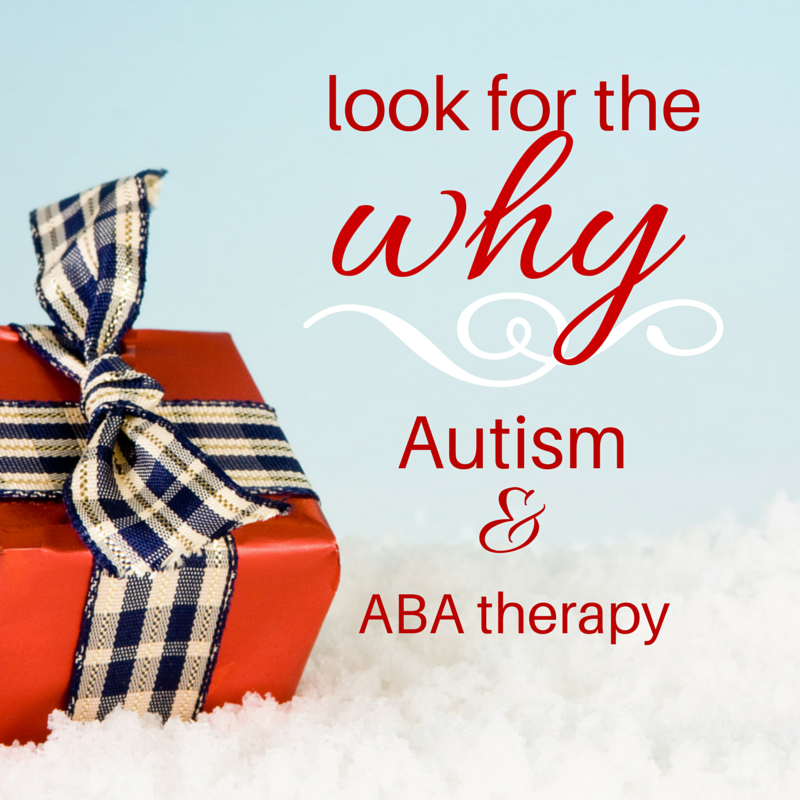 Do you know how ABA began, what the concept was behind it? 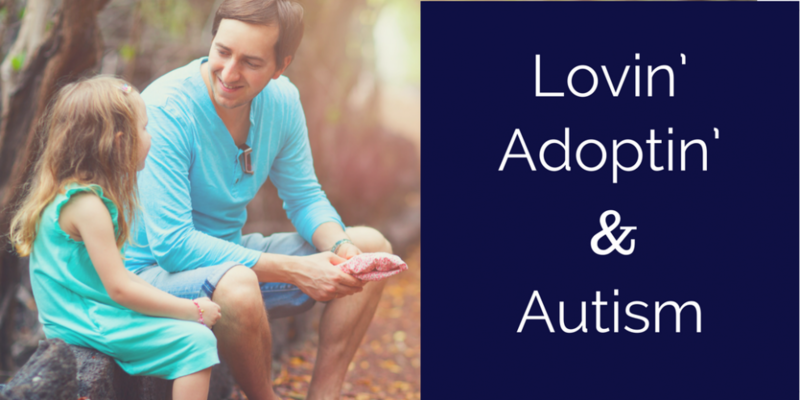 You may know the premise of how it was started, but stick with me because I will give you some ideas on how to help your child, and how to tweak ABA to help your child more efficiently and respectably. This isn’t how Autistic people should be treated. And, frankly, that’s not how to best help a child or adult who has Autism. This idea completely ignores their humanity. Consistently looking at what needs to be fixed in an Autistic child is a bombardment of negative thoughts. We have to see the positives in the Autistic person if we’re going to instill in them a sense of worth. How would we feel if every action of ours was looked at as wrong, and in need of change? What would that do to our self-esteem? If all you ever heard was that you needed to fix what you do every day, it wouldn’t give you hope, it would be quite discouraging. When you can see that Autism is a different road entirely, your mind opens to such possibilities. Life is smoother, brighter, and different, but in a good way. It’s acceptance, but it’s acceptance that’s good. We can’t look at it from Lovaas’ perspective, “putting out the fire first before you worry how it started.” No, we need to completely shift that idea on it’s head. We have to find out why FIRST, then move on to help our child. If we don’t have the why, we really can’t help them in a humane way. So, why? Why is your child irritated? Why aren’t they focusing? Why are they jumping or spinning? Why are they chewing on their clothes? Why are they crying or upset? Is it sensory issues (because most children with Autism have sensory issues). Is their tag bothering them? Do they not like the person who’s teaching them (because if your child is nonverbal, they can’t tell you how they feel)? Are the lights too bright? Are the colors in the space too bold? Do they need a chewie to help with oral issues? Are they crying because they’ve been through this routine hundreds, if not, thousands of times and are tired of it because it’s hard? Watch your child closely, watch their eyes, listen to their sounds, watch their body language to find answers to these questions. When you find the “why” it will be a beautiful present you can unwrap. Autism is so complex, but so amazing. Lia*, the Developmental Interventionist who came to our home to do therapy for a few years taught me so much about this. She really looked at the “why,” and although she’d been trained in ABA, she knew how to modify it to fit Autistic children. She was amazing. One day I called her, in desperate need of advice. Jeremiah had been standing on the t.v. stand, table, counter, and on the back of the couch. I couldn’t keep him down, consistency wasn’t working. I was so relieved. Could this really be the answer? I have back problems and lifting a strong five-year-old down from up high was really wearing me out, plus that’s not what I wanted to do all day. I tried it, and after being consistent with it for a few days, he stopped climbing on furniture he wasn’t allowed on. Other Autism parents can give us great perspectives too, depending on which ones we listen to. I was talking with one of those Autism parents the other day and she mentioned that they teach their son in the way he learns. Her son learns through music, so they use it to teach colors, shapes, etc. She said he sang words before he talked. I love it. Then I thought about how Jeremiah learns, and that is through sensory. We found this out through working with Lia. Yeah, she’s done wonders for us and Jeremiah! 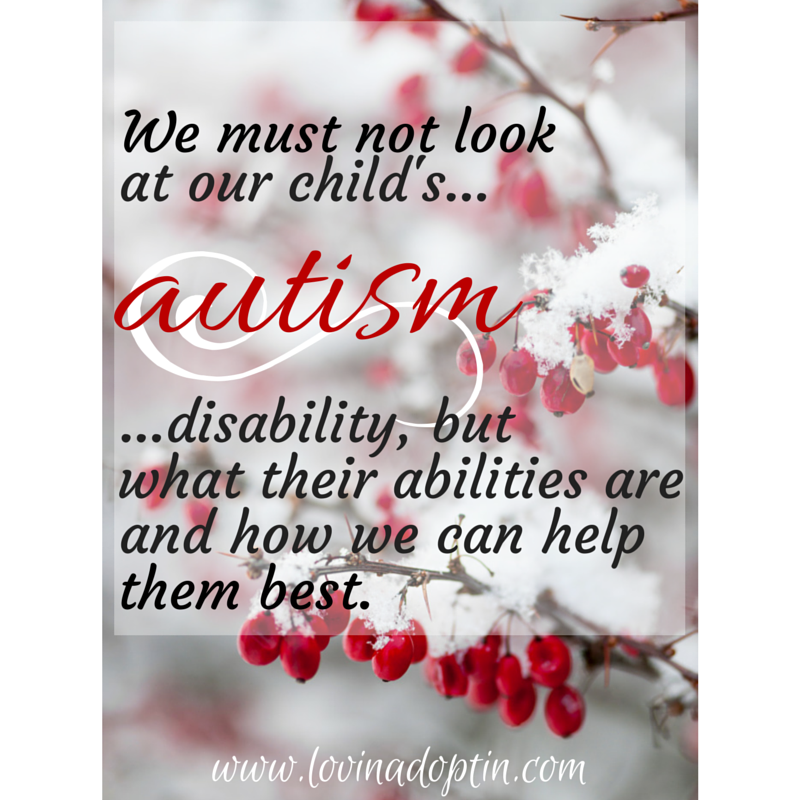 I can’t tell you what a difference it’s made hearing Autistic adult’s perspectives, having a therapist that saw who my child is and what he needed, and not looking at my son’s disability, but what his abilities are and how I can help him best. It’s taken some really amazing teachers, and I have a long ways to go, but I’m eternally grateful. I received a comment the other day on Twitter from a mom that was upset by another post I wrote. She said in part, “My verbal son doesn’t love Autism.” I’m really saddened by this. Sure, there are bad days with Autism, but aren’t there for all of us? For the most part my son is happy, and I don’t feel he would be that way if I was more negative. When I’m negative, he’s definitely not as happy. I’m a large determiner of how my son feels about himself. I’ve written two other posts on ABA, My Thoughts on Applied Behavior Analysis, and More Perspectives on Applied Behavior Analysis. You can receive each post made to Lovin’ Adoptin’ by subscribing in the upper right corner. If you’re on a mobile device, this can be done on the web version. You can also like my Facebook page and follow me on Twitter and Pinterest for more helpful information and links. This entry was posted in Autism, special needs and tagged ABA, Applied Behavior Analysis and Autism, Let Autistic children be kids, modify ABA, respect the Autistic person. Bookmark the permalink. I am autistic and against normalization. It’s like telling a cat not to scratch when you can just provide a scratching post or making a flutist hold their instrument inline when the flute is a transverse instrument. Lovas also was curing gayness with ABA before he unleashed it on the Autism community- (we all know how well that went) ..